The educational revolution in Digipubs – a time for support, not scepticism! Matt Pugh, Rhiannon Meaden and Jen Husdan of Adelphi Communications explore the impact of the digital revolution on the scientific publications arena and how publishers of leading scientific journals are embracing digital innovations. Leading journals are embracing social media to share and discuss key data and publications, reaching audiences in the tens and even hundreds of thousands. We, as publication planners and medical affairs professionals, can clearly no longer afford to ignore social media! The explosion of social media coverage across scientific publications has been accompanied by a similar growth in online offerings from many journals. These innovations promote interactivity and enable a greater depth of content whilst maintaining the scientific integrity of the peer-review process and ethical best practices. The dominance of social media is increasing beyond the personal into our professional lives. The digital revolution has created an expectation that we should have instant access to information and be able to share and react to it in real time. Consequently, leading journals are embracing social media to share and discuss key data and publications. Within the scientific publications arena, there is a particular challenge given the justified need to separate promotional activity from non-promotional. Social media is often perceived as a marketing tool and this crossover to medical affairs has led to some scepticism within the industry as to what role social media should play, if any. In fact, this decision has already been made independently of the pharmaceutical industry. Medical journals are embracing this new communication forum and channelling information through their Facebook and Twitter feeds, reaching audiences in the tens and even hundreds of thousands. Although uncertainty still exists, the tide is beginning to turn; increasingly individuals and companies are acknowledging this change as a great opportunity to extend the educational reach of data and opinion to a wider, relevant audience of grass-roots healthcare professionals. Publication planners and medical affairs professionals can no longer afford to ignore social media. With over 1 million followers on Facebook and over 100,000 on Twitter, the New England Journal of Medicine is an interesting example of a journal using social media in a number of compelling ways. Through Facebook alone the latest medical research is supplemented using a variety of interactive features including case-based challenges, multimedia content and regular quizzes, all of which encourage a high level of dialogue. The journal drives awareness of interesting recently-published data by including useful summaries and links to commentary on other channels, for example, their Blog, YouTube channel and Journal Watch. Many other general medical journals also have a social media presence including Nature Medicine, the British Medical Journal, the Journal of the American Medical Association and The Lancet, as well as disease-specific journals. Ultimately this means a trend for increased online dialogue around articles – something we need to be aware of and fully appreciate. It gives us the opportunity to take our analyses beyond traditional bibliometrics to alternative online scholarly metrics – commonly referred to as ‘altmetrics’. While there has been some debate around the validity of such analyses, altmetrics are increasingly recognised as providing an indicator of an article’s interest and value. They also capture the impact of a publication in a much broader, global population, going beyond traditional metrics such as citation frequency which often reflect only the opinion and behaviour of other publishing authors. • Level of online commentary – for example via Facebook, Twitter, Google+, Reddit, Pinterest, blogs and mainstream news. • Demographics – who has been commenting? Healthcare professionals, scientists or members of the public? • Geographical distribution of commenters. We can also compare the level of noise associated with an article to other articles within the same journal or to all articles of a similar age. We typically see the most online noise around published data for launched products, with less at Phase III and II, and little if any at Phase I. There are exceptions however, and scientific articles that are particularly tailored to capture the interest of their audience – for example with a creative title or context – often generate more noise (Figure 1). Creative writing in high-science publications is a topic which often causes debate. However, with the evolution of social media it may come to be seen as a valid approach for authors to encourage wider interest in study data. Also extremely important in helping readers understand the context of an article and ensuring consistency in its interpretation – particularly when being accessed via social media channels where commentary is compressed, yet iterative – is the strength of its scientific narrative. A clear, compelling, real-world-relevant scientific narrative, if articulated effectively, should both inform and inspire! The quantitative altmetrics described above allow us to monitor the reach of publications. However, we can also evaluate the discussion more qualitatively by looking at individual comments. The nature of these comments can allow us to appreciate broader expert opinion, give us valuable insight into key points of interest, harmony and discord, and importantly, to better understand educational needs around new treatment approaches. The explosion of social media coverage across scientific publications has been accompanied by a similar growth in online offerings from many journals. These innovations promote interactivity and enable a greater depth of content whilst maintaining the scientific integrity of the peer-review process. The intuitive navigation systems developed for online manuscripts ensure that key data or discussion points are only a click away – and why not watch an interview with the author explaining the importance of the results or a round-table discussion on the latest treatment guidelines? As publication planners, it is essential to appreciate this constantly evolving landscape and understand the implications and opportunities for publications in development. The number of publishers offering additional digital content online continues to grow. BioMed Central has been at the forefront of these developments. An article by Ziegler et al provides a good example of the opportunities that exist with embedded multimedia content. Similarly, ‘Articles in motion‘ developed by Elsevier enable easy navigation throughout long and complex documents and include thumbnails of each table and figure. Not to be outdone, Wiley offer enhanced content, including downloadable slides containing study data and a video of the slides being presented by the principal investigator. Other media becoming widely available include podcasts, webinars, interactive case studies and journal-supported iPad apps. Resource centres are a great way to create and maintain a one-stop-shop for anyone interested in a particular topic. They can be hosted directly by pharma, but are perceived to be more credible through a journal, as the content undergoes the same independent review process as standard publications. A diabetes resource center, hosted by the American Journal of Medicine, has received over 75,000 visits since 2010 and has proven to be a valuable resource to the medical community. Despite these innovations across scientific publications, the core principles for publication planning remain unchanged. While official guidance for the pharmaceutical industry has yet to be finalised, increasingly individuals and pharma companies are acknowledging social media as a great opportunity to extend educational reach to a wider, relevant audience of grass-roots healthcare professionals while simultaneously using digital offerings to increase the impact of their publications. Rhiannon Meaden (PhD) is a Director at Adelphi Communications. In harmony with Adelphi’s core values, she has a passion for fostering valued relationships in pharma and healthcare. Rhiannon’s balance of scientific and industry expertise gives her the perfect foundation to develop inspiring solutions to the complex educational challenges our industry faces, empowering and enabling healthcare professionals to make the best treatment decisions for their patients. 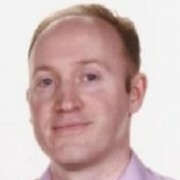 Matt Pugh (PhD) is a Scientific Director at Adelphi Communications. As leader in innovative projects, he has experience working with pharma and healthcare clients to maximise the impact of medical communications in this digital age. Combined with his research and industry background Matt provides strategic input and oversight to drive effective communications with the ultimate goal of improving patient outcomes. Jen Husdan (BA) is a Senior Manager at Adelphi Communications. She is highly experienced in building long term collaborative relationships with pharma. Jen is highly passionate about delivering innovative programs across a product’s entire lifecycle and achieving excellence as standard across all media from traditional publications to global webcasts. For more information on digital publications, or to find out more about the Adelphi Illuminate DigiClinic – a bespoke workshop that covers these topics in more detail – please contact Rhiannon Meaden (+44  1625 578674 or rhiannon.meaden@adelphigroup.com). Have your say: How will journals be using social media in the future?